The All-Devouring isn’t as menacing as the name may imply, weaving in wonderful atmosphere that blunts its post-metal uproar. Still, Somn often go straight to the extreme in their debut release. 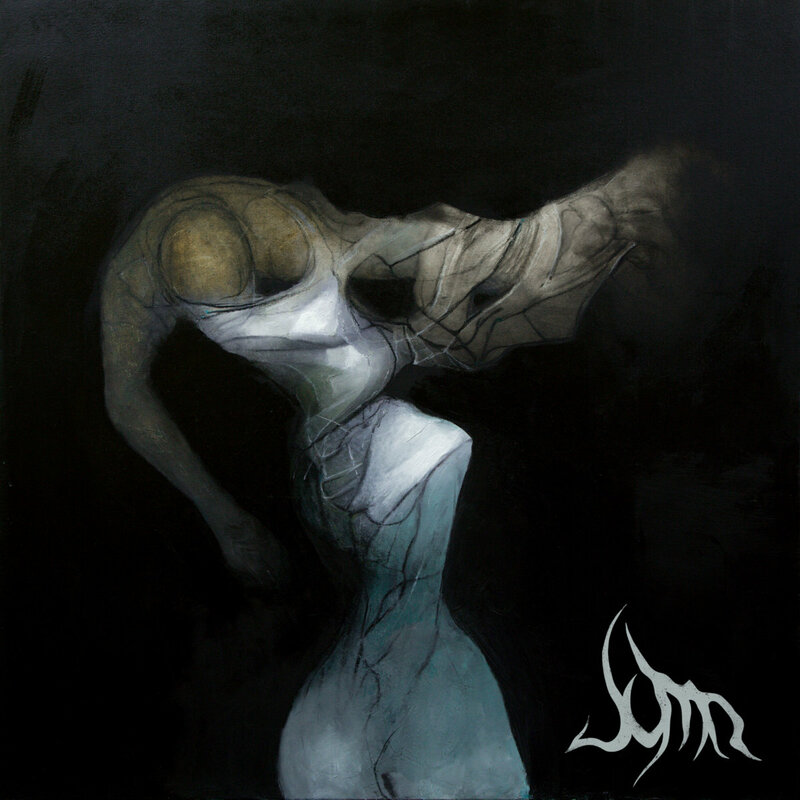 Russia’s Somn released their debut album recently and, in checking it out, I expected a saturated and sensory experience as heavy music of the ‘post-‘ variety tends to be. I got a bit more than I bargained for on the serious, emotional front, as the quartet built their wall of sound sky high only to be toppled by the music’s epic scale and power. It just so happens, my fellow writer Ashley has some thoughts on this as well. Join us as we dive into what may seem like a sustained post-metal journey through the usual suspects of building blocks, but becomes something much more thanks to nuanced writing and an appreciation for atmosphere. Delving into Somn‘s soundscapes brought on some emotional thoughts that I haven’t necessarily felt first-hand, but have an empathy for. The bittersweet death of an abusive parent that sates your spiteful side, but is also saddening because a part of you is gone forever. The rush of memories and feelings you get when you visit the place where someone close to you died. The All-Devouring‘s swirling vortex swallows all, but rather than destroy it in a wood chipper-like fashion, it houses everything as if storing it for later use. Similar to how Thantifaxath approach their post/black metal onslaught and evoke feelings, but where that band trends a lot more toward malevolence, Somn is benevolent, almost healing and rejuvenating like a good therapy session. “Sightless” is as welcoming an opening track as possible, like walking hand-in-hand with someone toward the void that will eventually consume you. The song’s distant calls and moans turn into rumbles and growls as guitars harshen. The nonstop playing acts like a ceaseless wind; graceful at one point, but a wall of it can quickly gain strength and speed to knock you over. It’s this ebb and flow that creates the sonic basis for what Somn have to offer, expounded on by other elements like the similarly textured rasps and screams from the vocals. Flecks of strong melody can be heard often in each of the album’s four songs. My favorites of which reside in “Tempest”, particularly its intro and instrumental changes that make up the foundation of the track’s second verse where the action becomes a bit more nuanced within its tempo. Honestly, what I enjoyed the most out of everything was the calm moments. Amidst the chaos, these moments offer not only a reprieve, but the most beauty. It’s like a conversation, where the full-force post-metal signifies violent verbal purge, and the more atmospheric and lush passages is a calming response, validating your feelings and seeking to bring peace to your inner turmoil. The midsection of “Tempest”, an extended bridge in the title track, and other similar moments are absolutely lovely, so much so that I wish there were more of them. The relentlessness of the high-tempo loses its punch after long, so to break it up more often would have made everything involved that much more warranted and powerful. Sometimes, therapeutic endeavors present themselves without warning. I can’t promise Somn will offer you anything like that, but I can tell you with certainty that The All-Devouring is an evocative experience nonetheless. Just as it is willing to disorient with its impressively maintained discord, it also cradles the psyche and acts as a balm for your own raw emotional torment. Musically speaking, it’s a strong debut that deserves more attention from reverb lovers and those with a penchant for sonic chaos. Don’t miss out! Since forming in 2018, Somn appear to have wasted no time whatsoever. One month into 2019, and we get their debut, and rather staggering opus: The All-Devouring. There is something extremely bold about that album title which is reflected rather aptly in the music. As soon as the groovy opening of “Sightless” kicks in, we can hear it. The album siphons through the various and consistently deep conventions of blackgaze, black metal, and post rock, fusing some epic soundscapes together with a kind of punky affirmation. Raw emotion holds and squeezes the opening song until the heavy conventions fizzle out for the last minute and give over to some haunting melody. And so we get a sense of what these guys are about, which doesn’t really deviate at any point during the record. It’s also near-impossible to talk about this album without giving chapter and verse about the vocals, so constant, brash, and endlessly tormented as they are. Their distorted hellishness bleed into the music and almost become something altogether inhuman. Yet the music never becomes wholly dependent on this element, as there are entire subsections which operate very nicely without vocals. Take second track “Awe” as an adequate example of this, where the entire central segment is an interlude that could be considered an upbeat reprise to its surroundings. But it isn’t long before we return to the basic artfully guttural mission statement of Somn‘s music. In all, The All-Devouring delivers an energy which does not subside at any point during the record. “Tempest”, in particular, encapsulates the boundless stamina that the band seem to possess. When the track runs the risk of growing short of breath, it slams shut the doors of rage and shifts into the sublime ether of ambiance, serving as a brief respite before the thunderous train of melodic noise takes a hold once more. Though it’s a formula used at various moments in the record, it seems to conjure up a different sensation every time, suggesting in musical form that the spectrum of downbeat emotion may be broader than one would first think. This overall pattern serves Somn well, right through until the end. The final track, “The All Devouring”, ends pretty much as the album begins, though containing a proggier break-up to serve as a decent pause-for-thought before the final, all-out discharge. Almost as a mirror image of the album’s opening, a groovy climax bids us farewell. In one simple outing, Somn tick a great deal of boxes. Somewhere in between the unrestrained angst of post-rock and the somber menace of black metal, and in the bewildering throes of blackgaze, lies a deep ethos which Somn tap into like it was second nature. There is a mother-load of emotion poured into this record, and the listeners have no avenue through which to escape it. To take the ride is to embrace the ride, and let’s keep in mind that whatever incenses Somn to do what they do, The All-Devouring is only the start. Previous PostTender - "Fear of Falling Asleep"
Next PostWe Are Impala - "Visions"